IPL stands for Indian Premier League and you might be aware of the fact that the new season of IPL is about to begin. The format of the cricket followed in the IPL is Twenty-20 cricket and it is highly popular in India as well as globally. 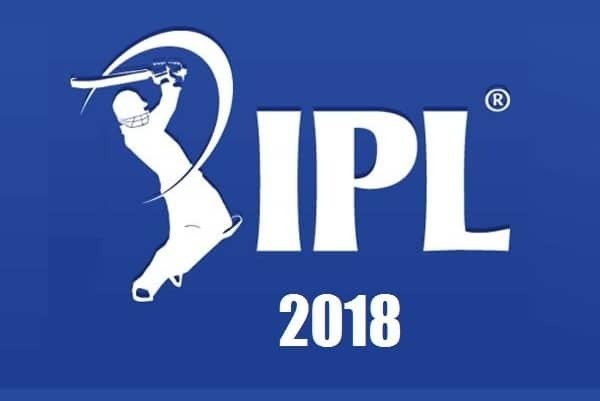 The first season of IPL took place in 2008 and it would be the 11th season which would be taking place in 2018. IPL is not only great for cricket fans but it is also great for the Indian economy as according to the statistics; the IPL contributes a huge amount to GDP of India. The IPL held in 2015 alone contributed Rs 11.5 Billion to the GDP of India. Now you can guess the magnitude of this game. Most of the leagues were played in India except for a few which were organized at International levels. 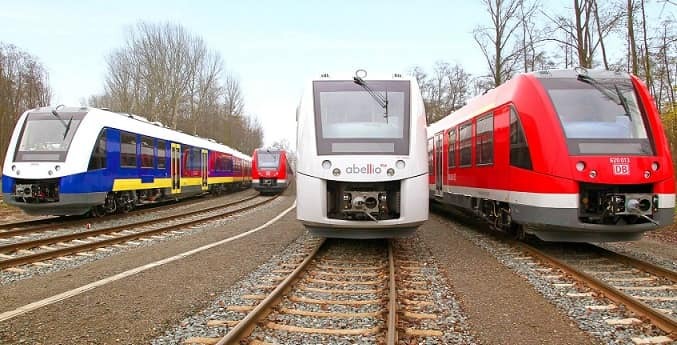 The title sponsorship for the first five years was retained by DLF and they paid a fee of Rs 40 Crore per year for retaining the title sponsorship. In addition to this, the title sponsor for IPL from 2013 to 2015 was Pepsi which paid Rs 79.2 Crore per year for retaining the title. At present, the title sponsor is with Vivo and for the first two seasons, they paid a sum of Rs 100 crore per year and for the next 5 years, they have already retained the rights for sponsors as well. As per the information available, Vivo is shelling out Rs 439.8 crore per year to be retaining the title sponsor to its name. Every year there is a winner and do you remember the winners of all the season? 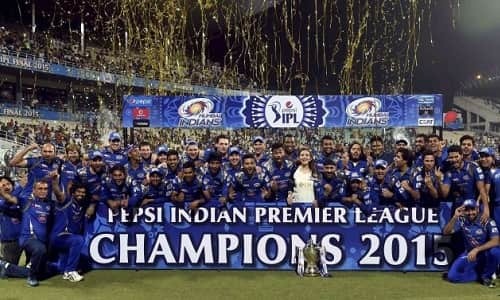 Well, let us revise your memory as we have compiled a complete list of winners of IPL from the first season to the last season. This could also help you in speculating the winner for 2018. So, here is the list. This was the first season of IPL and it gained a lot of popularity. The winner of the first season was Rajasthan Royals and they played against Chennai Super Kings in the final. Talking about the game, Rajasthan Royals won the toss and they choose to field first. Chennai Super Kings batted first and they gave a target of 164 runs to Rajasthan Royals and Rajasthan Royals were able to achieve this target in 17 overs with a loss of 7 wickets. The second season of the league was hosted in South Africa and many of the cricket fans traveled all the way to South Africa to be a part of the match. This match was held between Deccan Chargers and Royal Challengers Bangalore. As the match began, Royal Challengers won the toss and they choose to field first. During the batting, Deccan Chargers were able to score 143 runs which gave a target of 144 runs to Royal Challengers. Unfortunately, Royal Challengers were not able to achieve the target and they were only able to score 137 runs at loss of 9 wickets. The third season of IPL was hosted in India and that was great relief for Indian fans. The final match of this series was held between Chennai Super Kings and Mumbai Indians. Just like the first series, the final of this series was also held in DY Patil Stadium in Mumbai. In addition to this, Chennai Super Kings won the toss for the series and they choose to bat. Chennai Super Kings ended up giving a target of 169 runs to Mumbai Indians but Mumbai Indians only managed to score 146 runs. Do you know who the player series was for this IPL Season? You guessed it right, it was Sachin Tendulkar. 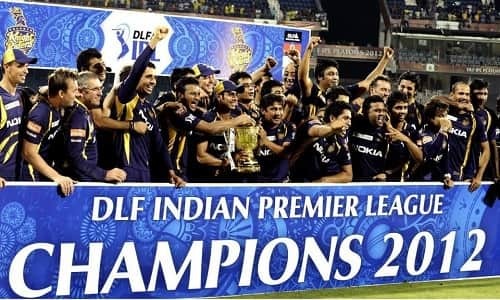 IPL 2011 was also held in India and the interesting part about this season was that the number of teams for IPL was increased by 2 and this time, 10 teams were participating in the league. Two teams which reached the finals were Chennai Super Kings and Royal Challengers Bangalore. 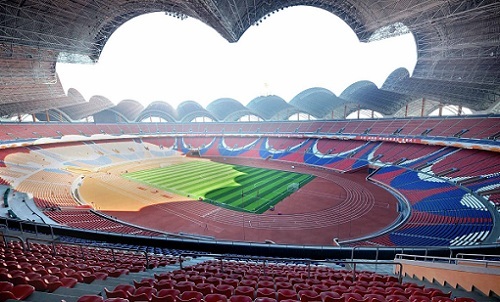 This time, the final match was held in the home stadium of Chennai. Chennai Super Kings won the toss and they choose to bat. The last IPL season already boosted their confidence and they ended up scoring 205 runs in the match. Royal Challengers were not able to beat the target and they could only score 147 runs. For this series, Chris Gayle was awarded the title of player series. For the fifth season of IPL, one of the team was dissolved and this time it was 9 teams playing the game. 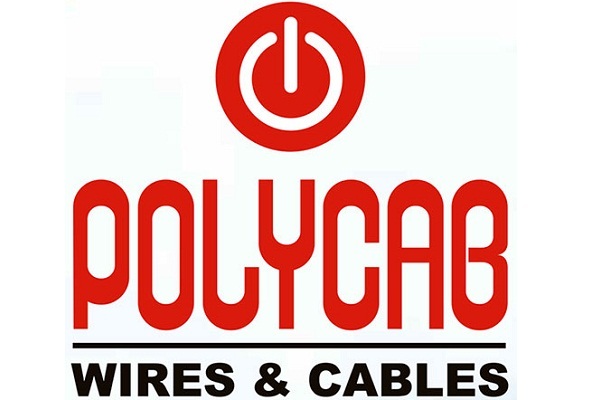 This series was also hosted in India. 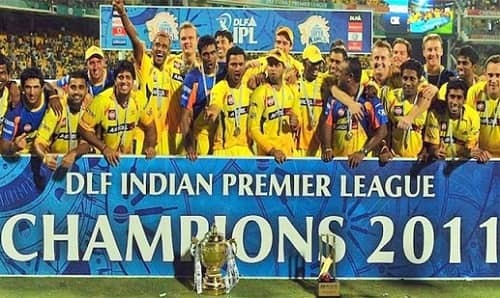 This time again, Chennai Super Kings managed to reach the finals and everyone was speculating that they would turn out to be the winner of the league for the third time in a row. As the match unfolded, Chennai Super Kings won the toss and they choose to bat first. During the batting, they scored 190 runs with a loss of just three wickets. It was now the turn of Kolkata Knight Riders to bat first and with the strong batting line, they were able to wrap up the match in just 19 overs. This was the first victory for Kolkata Knight Riders. This was the sixth season of IPL and 9 teams played in this season as well. This series was also hosted in India and you would not be surprised to know that Chennai Super Kings was also in the finals of this series. They gave a tough competition to everyone and they reached finals. 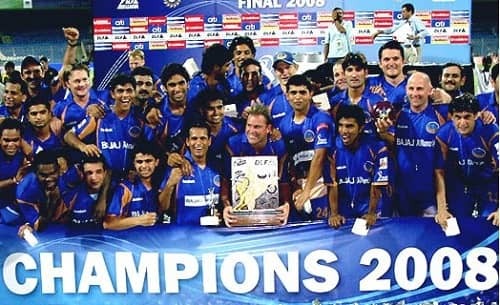 The second team in the finals was Mumbai Indians. This time, Mumbai Indians won the match and they choose to bat. The match was held in Eden Gardens in Kolkata and Mumbai Indians scored 148 runs while batting. Chennai Super Kings was not successful while chasing the target and they managed to score only 125 runs in 20 overs. Shane Watson was the Player of this series. This season was a little unique as this season was hosted in Dubai as well as India. In addition to this, the total number of teams in this season was 8. The finalists for IPL 2014 were Kings XI Punjab and Kolkata Knight Riders. In addition to this, Kolkata Knight Riders won the toss during the final match and they choose to field first. Kings XI Punjab was able to score 199 runs in 20 overs and they gave a target of 200 runs to Kolkata Knight Riders. During the batting, Kolkata Knight Riders achieved this target in 19.3 overs and claimed over the title of IPL 2014. This was their second win in the IPL. IPL 2015 was hosted in India and during this IPL, two teams proved to be a tough competition for other teams. 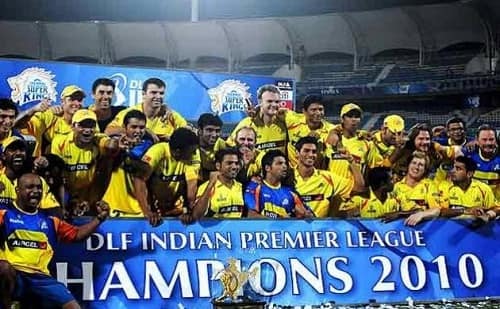 This time, Mumbai Indians and Chennai Super Kings reached the final and both of them had been the champions in the fast. The final match for this IPL was held in Eden Garden, Kolkata and Chennai Super Kings won the toss. They choose to field first and this enabled Mumbai Indians to score 202 runs during their turn. The total target for Chennai Super Kings was 203 and this was easily achievable for them. Early losses in the match proved to be costly for Chennai Super Kings and they had to return to the pavilion with only 161 runs in total. Thus, Mumbai Indians registered their second win in the IPL series since 2008. Now, talking about the IPL 2016, the series was again hosted in India and this time the finals were held between Sunrisers Hyderabad and Royal Challengers Bangalore. During the toss, Sunrisers Hyderabad won the toss and they wanted to bat first. With a strong lineup, they managed to score 208 runs in 20 overs and hence Royal Challengers got a target of 209 runs to win the match and claim the title. 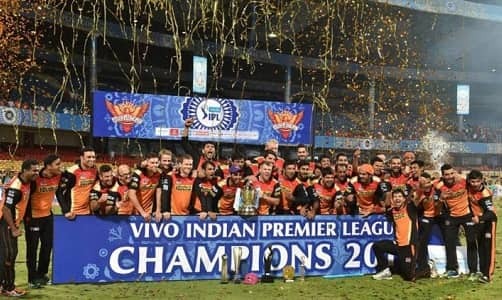 Because of the strong fielding, Sunrisers Hyderabad was able to stop the Royal Challengers at a score of 200 runs and hence Sunrisers Hyderabad claimed the title. This was their first ever victory in IPL. The player of the series during IPL 2016 was Virat Kohli. The last season of IPL was hosted in India and this time. Mumbai Indians and Rising Pune Supergiants were facing each other in the finals. The final match of this series took place in Hyderabad and Mumbai Indians won the toss. They choose to bat first and they were able to score 129 runs in 20 overs. During their batting, Rising Pune Super giants gave a nail-biting competition to Mumbai Indians and they were just two runs short of victory at end of 20 overs. Hence, Mumbai Indians claimed their third title in IPL 2017. IPL 2018 is all set to begin in a couple of months and this time as well, the matches are being hosted in India. The first match is to be held on 7th April 2018 and there would be a total of 60 matches. All the matches would be aired on Star Sports and the teams are already decided. They all are ready for a tough competition and it would be interesting to see the winners of this series. 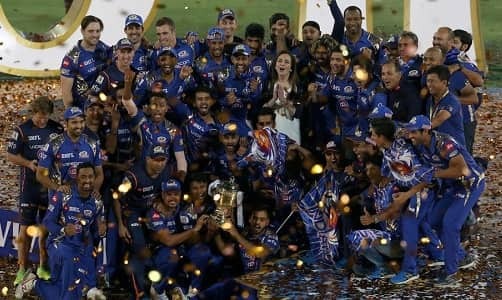 Would Mumbai Indians be able to retain the title? Would they be replaced by someone else? The answers to all these questions will be revealed as all the series progresses. These were all the winners of IPL from 2008 to 2017. It would certainly be interesting to watch the winner of the IPL 2018 and in addition to this; it would also be fun to know the name of the player who would be able to retain the orange cap and the purple cap for this season. The tickets would be available soon and do not forget to book the tickets of your favorite match at the earliest to witness your favorite match at the stadium in your city.